Superdry women's Richards oversized hoodie from the Dark Romance collection. This limited edition hoodie will your take your everyday style to the next level. 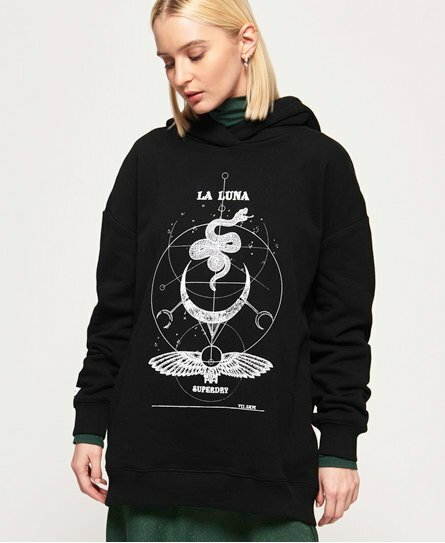 Designed in an oversized fit for relaxed styling, the hoodie features pockets in the side seams and a new age print on the chest. The Richards oversized hoodie has been completed with a Superdry logo tab on the cuff. Why not layer over a midi skirt for a stylish, yet dressed down look.